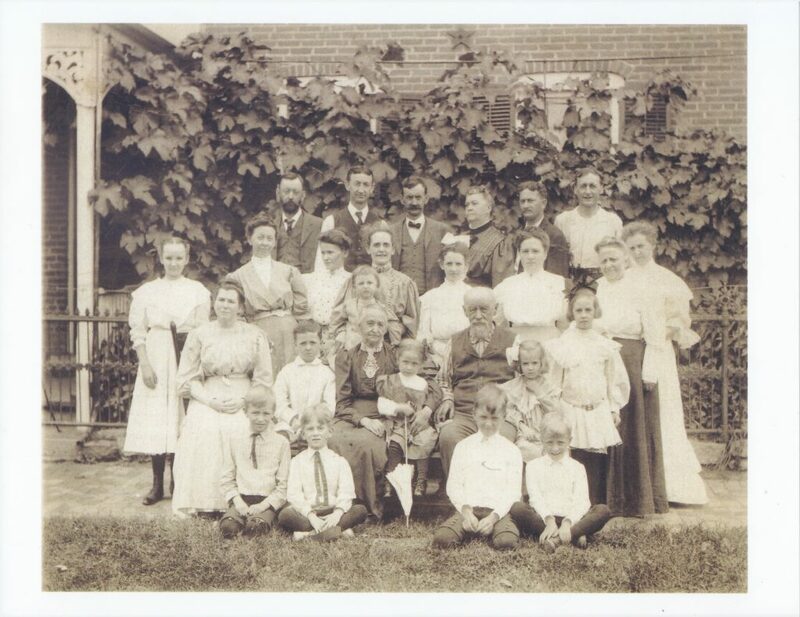 My great great grand-father Anton Weiss had 8 children: Robert, Celia, Frank, Theodore, Joe, Mary, Clarissa, and Agnes. Robert married Martha Grace and they had one child who died before he was a year old. Martha and Robert divorced and I don’t believe either had any more children. Martha and her third husband do not have any children connected to them in their census records. Robert does not appear to have married again, and if he fathered any more children they are likely illegitimate and untraceable. Celia married Henry Klindt. They moved to South Dakota and then to Ontario, California and had a few children. I’ve tracked down a number of living descendants but hadn’t found current contact information for any. Yesterday, I found a memorial for one of their children on Find-A-Grave (a site for cataloging grave sites along with virtual memorials and flowers ). It had been put up last week, and included photographs of the person. The photos indicated to me that a living relative had put up the page, so I emailed her. She responded this morning, and is related by marriage on the other side of that family. But she is forwarding my email on to her cousin, a Klindt who is living. Frank married Nancy Conaway and lived in South Dakota. His children mostly lived in South Dakota as well, but the next generation moved to Illinois, Minnesota, and Tacoma. Unfortunately, the Tacoma branch is no longer local. However, one of the Minnesota branch lives in Issaquah now. I attempted contact today, and am keeping my fingers crossed that he’ll respond. Theodore married Kathryn Franey and stayed in Madison, Wisconsin. However, they had no children. Joe married Frances Ryan and they also lived in Madison. Only two of their children have descendants. There’s me and my cousins, and a few others spread all over from Minnesota to Texas to New York to Virginia to Massachusetts to California. Although I was unable to attend, a number of them gathered three years ago for the 100th birthday of Joe’s daughter, my great aunt Babe. I know a fair number of second cousins. Mary never married and died at age 28. She lived most of her life with Anton and Clara in Cassville, but died in Denver. I still don’t know why she was there. No children that I’ve found. Clarissa married Conrad Troeller and moved first to South Dakota, then Iowa, and finally California. Though she died young, she had four children before she passed. Their descendants live in California, Idaho, and Alaska. And one fellow who has lived in dozens of places, but seems to have settled in Ohio. I’ve corresponded with four living descendants of Clarissa and the wife of another. Agnes died at age 25, still living in Cassville with her parents. She did not marry or have any children. If the two contacts made today are successful, I’ll have a line of communication to descendants of each of Anton’s children that have some. I wrote about tracking down Clara Weiss, my second great aunt, in Upland California. I didn’t really know what had happened to her sister, Cecilia Celia . Turns out she was just down the road. Finding a girl through the census records is hard, because they usually changed surnames when they got married. Celia shows up in 1860, 1870, and 1880. Then she disappears. She got married and doesn’t show up anywhere. Ancestry.com tells me the most likely entries are: Cecilia Garthwaite, Cecilia Lindsey, Cecilia McCready, etc. 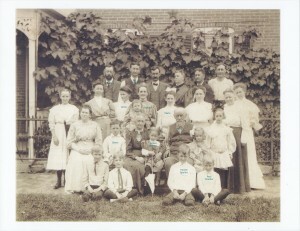 All of them born about 1858 in Wisconsin. Ancestry seems to rank them in terms of how close they are to Celia’s birthplace of Cassville, Wisconsin. In fact, Celia doesn’t show up at all in the first five pages of possibilities for censuses after 1900. I checked a lot of them, and most didn’t match up. Some could have been Celia, but I had no way to know via the census records. So I kind of sat on that for a bit and pursued other Weisses. I got to Clara. She appeared only in 1900, and later I figured out why she wasn’t in 1910. Before I’d done that though, I started looking for her children. Her third child, Agnes Marie showed up in 1910, but not with Clara or Clara’s husband Conrad. She was part of the Henry J. and Anna C. Klindt household in Ontario, California. Her relationship to Henry was listed as niece . Agnes is listed as the niece of Henry Klindt. So either Conrad Troeller is the brother of Henry or Anna, or Clara was the sister of Anna. There were no daughters of Anton Weiss listed as Anna in the 1860 through 1880 censuses. However, it was possible that Cecilia was a middle name. Among my grandparent’s family, George Archibald went by Arch, Florence Marie went by Marie, Richard Glenn went by Glenn and Laura Ann Francis goes by Francis. Perhaps that was common in their parent’s family as well, and Anna C. is Anna Cecilia. Anna C.’s other stats matched up: born in Wisconsin around 1858, with both parents from Germany. Not enough to confirm it, but enough to start digging more. Luckily a few other things turned up. One other person had listed the wife of Henry Klindt as Anna C Weiss in their family tree. Still tenuous, but looking better. Around then I found Frank Smitha’s biography, and his page about his grandmother Clara. The weight of the evidence was enough for me to put it in a confirmation column, even though some of the other facts on Smitha’s page are wrong. 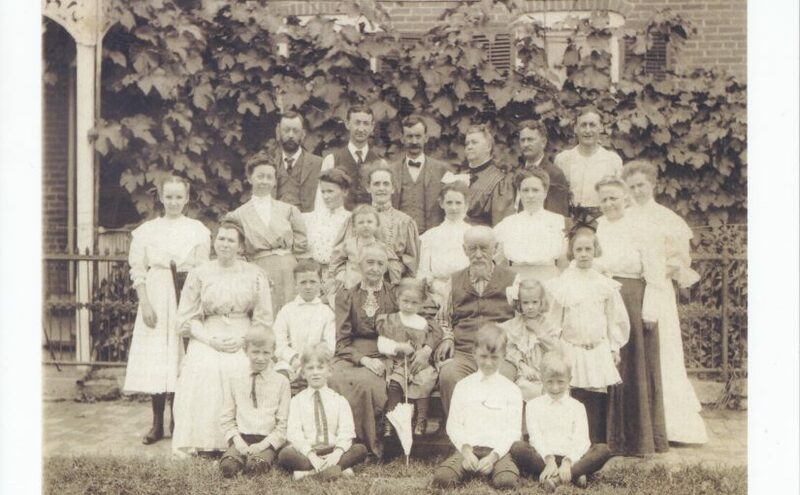 The Klindt’s lived in South Dakota and Iowa for a bit, then went overseas to Germany for a couple of years. When they returned, they moved to Ontario. Henry’s passport application gave birth dates for his children as well as his intention to return in a couple of years. That’s awesome, because the census only gives approximate birth years and was generally transcribed as told to the census taker by the head of the house. The head of the house might not remember birth dates as well; the transcriber could mishear; the transcriber could miswrite it; the transcriber could have a bad sense of policies about first names vs. middle names. Some of them are really bad spellers. I’m not sure the Klindts were wealthy, even though Smitha’s mother seemed to think they were. There were five children. Pauline, who married one Fred Jacobs. They moved back to Iowa where Fred died about 1916. Pauline moved back to California, and as best as I can tell never remarried or had more kids. Daughter Agnes married a George Bunker, then divorced him just a couple years later. She never appeared to remarry and the Bunkers had only one child George Jr. Daughter Mildred died about 1916 without marrying. Robert married Jessie Hermes around 1916, and by 1930 they had not had any children. The youngest child, Irving, married Edith Smith and they had a couple of daughters by 1930. None of the Klindts appeared to have lived in particularly wealthy neighborhoods, and I haven’t found any of them among the movers and shakers of southern California. But perhaps they were quietly wealthy. Who knows? Neither Henry nor Celia lived to see 1930.